SYOSSET, Long Island (WABC) -- The small plane that crashed on Long Island last week broke up mid-air before it crashed to the ground, killing all three on board, the NTSB said in a preliminary report released Tuesday. The plane crash happened last Tuesday afternoon (May 3) in Syosset. The NTSB's report said the pilot of the Beech V35B aircraft first reported an issue at about 3:30 p.m., when the plane was flying at 7,000 feet. The pilot said the plane experienced a failure of the vacuum system and associated gyroscopic instruments. He told the air traffic controller he planned to continue to his destination airport - in Plainville, Connecticut - without use of his instruments. He was flying based on what he could see. A few minutes later, the pilot radioed that his plane's instruments kicked back in and he lost control of the airplane and lost more functionality of instruments. The air traffic control tower lost both radio and radar contact with the plane at 3:42 p.m. 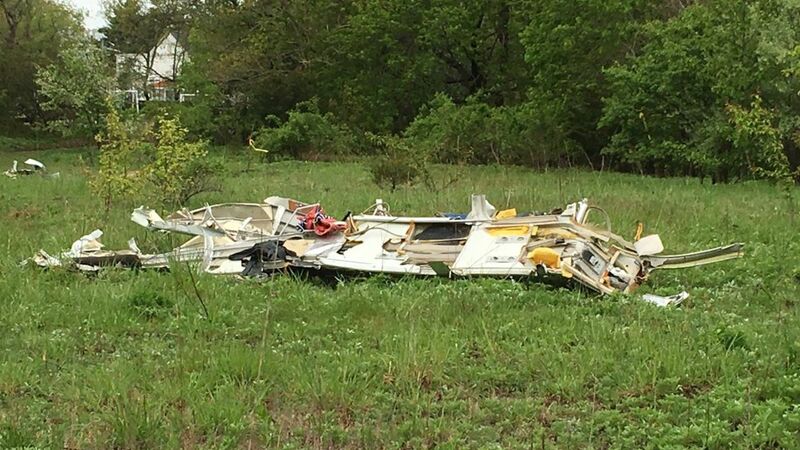 The plane crashed into the ground, leaving a debris field almost a half-mile long. Some parts of the plane were nearly 2 miles away from the crash site. Investigators examined the wreckage, saying that while flight control continuity could not be verified, "all recovered flight control cables exhibited broomstraw separation, consistent with overstress." The NTSB did not a specific cause of the crash, as the investigation is ongoing. Two men and one woman were killed in the crash. They were traveling from Myrtle Beach, South Carolina. The NTSB said the pilot received his license to fly in September 2014, and he reported a total flight experience of 4,000 hours. Click here to read the full NTSB preliminary report.